Various effects of CBD on the digestive system show interesting potential in therapeutic terms. Firstly, cannabidiol reduces nausea and vomiting; that is, it possesses antiemetic properties, and this has been verified both for its neutral form (Rock EM. 2011), in the form of CBD, and in its acid form (CBDA), which is how it is naturally present in cannabis plants (Rock EM & Parker LA. 2013). As far as appetite is concerned, CBD seems to reduce it, especially if we refer to an increase in appetite caused by the endocannabinoid system, in which case CBD reduces the “hunger” originally caused by the activation of CB1 receptors. Considering that the endocannabinoid system regulates the appetite – satiety cycle to a significant extent through the activation of CB1 receptors, and that CBD “counteracts” some of the effects of CB1 receptor agonists by bonding to these receptors and “modifying” their structure so that these agonists can no longer succeed in bonding as effectively, it seems logical to think that the same thing might occur when they are bonded to by endocannabinoids in their role as regulators of foodstuff ingestion (Farrimond JA, et al. 2012). Regarding the liver, CBD seems to act as a hepatic protector in the presence of toxic substances, as occurs, for example, in the case of alcohol (Wang Y, et al. 2017). In the case of the pancreas, the role of CBD as a protector has also been demonstrated in models of acute pancreatitis (Li K, Et al. 2012). Besides the liver and the pancreas, the organ for which CBD has shown itself to play the most significant role as an anti-inflammatory factor, improving the clinical condition of many patients, is without a doubt the intestine. In the tissues of patients suffering from ulcerative colitis, CBD clearly reduced their level of inflammation (De Filippis D, et al. 2011), and in a model of this illness induced in mice by administering a chemical substance (chemically induced ulcerative colitis), cannabidiol reduced both excessive intestinal motility and the extent of lesions in the mucous membranes (Pagano E, et al. 2016). In a recent study, CBD reduced the levels of inflammation both in irritable bowel syndrome and in appendicitis when applied to human colon tissue (Couch DG, et al. 2017). Patients suffering from Crohn’s disease, ulcerative colitis, and other similar conditions fitting within the category of inflammatory intestinal illnesses, show significant improvement in their condition when they use currently available preparations containing CBD. Natureight products are food supplements by nature and not pharmaceutical products. 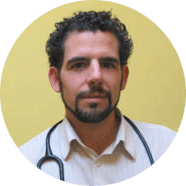 The medical opinion of Dr Pedraza does not include recognition of medical qualities of Natureight products.